The macula is the central part of the retina, the light sensitive tissue at the back of the eye. The retina processes all visual images. It is responsible for your ability to read, recognise faces, drive and see colours clearly. You are reading this brochure using your macula. MD causes progressive macular deterioration and within two years can render a sufferer legally blind. Macular Degeneration is also known as AMD or ARMD (Age related Macular Degeneration). 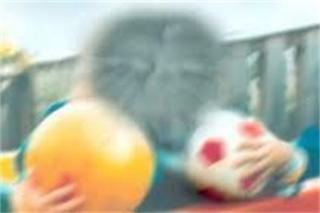 As AMD progresses, the centre of a sufferers vision blurs, whilst peripheral vision remains (to varying degrees). It is essential treatment is sought at the earliest stages of MD (AMD). Q. Does saffron have any side effects? Ans. Yes, it improves memory, it has a natural mood enhancing effect and apparently is shown to have strong anti cancer cell properties. There is increasing belief in the research world that saffron may also be useful in treating Multiple Sclerosis. Q. Does saffron have any adverse side effects? Ans. All of the overseas studies say NO, there are no known adverse side effects to having saffron as part of your daily diet. Q. I am on other medication, can I still take the saffron tablets without interferring with my other meds? Ans. Yes, Mum and I are both on blood thinning meds, I also take meds for congestive heart failure, high blood pressure and something for my liver and I take eight saffron tablets each day. But check with your doctor if you have any doubts. Your doctor may be interested in monitoring your progress. Q. Can I safely change my own dose? Ans. Yes, you only have to remember to take your saffron every day. When those on the overseas trials stopped taking their saffron, the resulting sight loss was rapid and "catastrophic". Q. Will everybody taking your saffron pills get their sight back? Ans. No! The overseas research has only been done on trialists with early onset MD and the results for them has been stunning. Our saffron is available to everyone with MD. Q. Does it work for people who have well advanced MD?. Ans. Of the 300+ people (so far) in the MD Re-Vision 'Saffron Club' nearly all have recorded either an improvement in their visual acuity or no further deterioration. Many of these have advanced MD. There are five people however who have recorded ongoing deterioration, despite being on the saffron. Q. Why might I need to change the number of tablets I take each day? Ans. Because as we get further into this global experience, we are discovering that many people are finding their results are dose related. Some people achieved positive results with just one tablet a day, others did not get results until they tried two or more each day. See the 'Testimonials' page. We are uncertain if this is because we each have our own unique physiology or whether it is related to the stage of advancement of the MD. It may be a combination of these and other factors. Q. Will you always be supplying saffron if I want to continue taking it? Q. I live overseas, will you ship to my country? Ans. At the moment there are 'Club Members' in New Zealand, Australia, Denmark, Scotland, England, Canada and Uganda, so yes, and freight/handling charges are included in the price. Q. Does the saffron work on other forms of Blindness? Ans. Yes it does. We have one young lady (Sophie aged ten) who has a neurological problem similar to Multiple Sclerosis and it has worked for her. It has worked also for two people who have Stargardts, it has restored almost complete sight to a lady who had her optic nerves squashed by a tumor and who was told she would never see properly again. There are also other 'Club Members' who have recently started trying it for their own different form of blindness .... we are keenly awaiting their results. Q. If my eyesight doesn't show any improvement should I stop taking the saffron? Ans. I would strongly suggest not stopping. I am not saying this from a financial point of view, but as an advisement. Remember we have three goals we are aiming for. 1 to slow the progress of the MD: 2 to halt it's progress and any further deterioration: and 3 to reverse the effects and noticeably improve your eyesight. Anyone with Macular Degeneration will agree that slowing the progress of the MD down or stopping it completely is also a 'win'. Again go to the "Testimonials" page and read the experiences of those who stopped taking the tablets (September 2012). Q. How do I order or re-order? Ans. Fill in your details on the form field on the Contact Us page and I will reply to you with payment and delivery details. Alternatively you can now order directly through the website on the "Purchase Now" page. I will send you an email newsletter every ten days or so, reporting on the success stories from our members and filling you in on the experiences others are having. You can reply to that email to re-order. Your postal and contact details will be securely stored in our private data-base and will not be shared with any other business or corporation. The early detection of any form of MD is crucial because the earlier you seek treatment, the more likely you are to have a better outcome compared to those who wait. MD can cause many different symptoms. Difficulty with your vision should not be dismissed as part of just 'getting older'. In its early stages MD may not be noticed but it can be detected in an eye test before any visual symptoms occur. Early detection of changes can allow you to take steps to slow the progression of MD. MD is the leading cause of severe vision loss. One in seven people over the age of 50 years is affected in some way and the incidence increases with age. There are two types of MD. The Dry form results in a gradual loss of central vision. The Wet form is characterised by a sudden loss of vision and is caused by abnormal blood vessels growing into the retina. Immediate medical treatment is essential if symptoms occur. Approximately 25,000 New Zealanders are affected with wet MD. Untreated, the majority of people with wet MD become functionally (legally) blind within 2 years. Visual impairment decreases the quality and length of life. It has been suggested that very large doses (5gms of saffron per kilogram of body weight) of saffron should not be taken by pregnant women as it may cause foetal abortion. Other studies have shown that good quality unadulterated saffron stems, (from the Crocus Sativus plant) have no reported side effects at all.